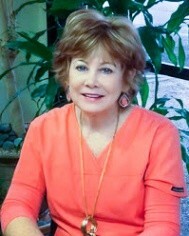 Dr. Lane moved to SA in 1970 after her father retired from the Air Force as a pilot. She earned a Bachelor’s degree in Nursing in 1975 and spent many years as an emergency room nurse as well as becoming a flight trauma nurse on a helicopter with a large county hospital. She earned her Doctorate of Dental Surgery from the nationally acclaimed University of Texas Health Science Center in San Antonio in 1991. She opened her practice in 1993. She was married to a custom furniture designer for 20 years until he passed away in 2015. Her pastime is spent with her large menagerie of dogs, cats, and a parrot. She has been a lifelong animal lover and has rescued many to her credit. She also grew up riding horses and still enjoys it. She is a member of the San Antonio Polo Club where she enjoyed playing amateur polo. She recently took up ballroom dance lessons and is thoroughly enjoying herself. She has an extended family of a sister and nieces and nephews in Albuquerque and Denver and scoots over to visit whenever possible. Dr. Seddighzadeh has lived in several different places but calls San Antonio home. He graduated from Texas A&M University with a Bachelor of Science in Biology. He received a post baccalaureate in Dental Laboratory Sciences in 2009 and Doctorate of Dental Surgery in 2016 from UT Health San Antonio School of Dentistry. 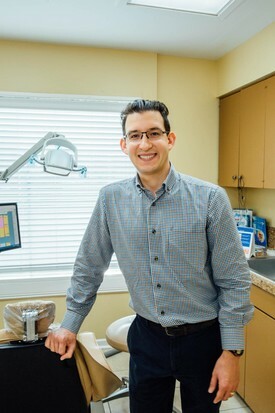 He has been in the dental field his entire career, working as a dental assistant and as a dental laboratory technician before entering dental school. He values staying updated on advancements in dentistry and attends numerous continuing education courses every year. He is a member of the American Dental Association, Texas Dental Association, Academy of General Dentistry, and Academy of Osseointegration. He is a part-time assistant professor at UT Health School of Dentistry. He married his wife in 2015. In their spare time they enjoy traveling, cooking, spending time with family and friends, and watching the San Antonio Spurs.